Our Skin Preservation line of products provides your skin nourishment and moisture while deep cleaning and improving your skin’s texture and clarity by gently exfoliating in a nonabrasive manner. The addition of the state-of-the-art peptide Matrixyl as well as Vitamin C and Sodium Hyaluronate in our Hydrating Firming Toner give this expertly formulated product it’s firming and moisture retention properties. Anti-aging tip: We recommend you extend your skin care routine to the neck and décolletage area for best anti-aging results. This enhanced lip treatment helps provide added volume and moisture retention to the lip area, while stimulating new cell growth, leaving the lips rosy, healthy, and moisturized. Using fingertips, apply once or twice daily by dabbing onto the lips and massaging in with fingertips. It may also be applied around the perimeter of the lip area to reduce furrows. This product should not be used by those prone to cold sores or fever blisters, as it will likely activate the condition. This cream is designed for weekly use to effectively remove the outermost skin layer that has been naturally loosened over time. Its gentle, non-abrasive action exfoliates dead skin cells and other debris to reveal a smoother, more refined skin texture with improved clarity. Apply a thin layer to dry skin, avoiding the eye area. Gently massage the skin using small circular strokes, adding water if necessary. 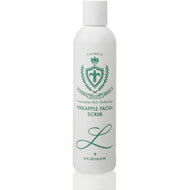 Remove residue with lukewarm water until skin is clean, and pat dry. Do not apply additional home care products with acids (glycolic, salicylic, etc.) or alcohol for at least 12 hours. The Hydrating Firming Toner firms the skin with Matrixyl & L-Ascorbic Acid, and hydrates with Hyaluronic Acid (Sodium Hyaluronate), which helps hold connective tissues together, allowing for increased hydration and moisture retention in the skin. 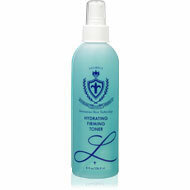 With eyes closed, spray on clean, dry face twice daily or throughout the day to refresh and hydrate the skin as needed. May also be applied by spraying onto hands and smoothing onto the face with fingertips. Apply to hands and emulsify with water. Gently massage the scrub onto entire face using upward circular motions, and remove with lukewarm water. Use 1-2 times per week. For external use only. Formulated with an array of essential oils such as Coconut, Sweet Almond, Mandarin Orange, Grapefruit, Candlenut (Aleurites Moluccana), and Safflower Seed, our massage cream is an indulgence for the skin and senses. It can be used on the face, body, or as a hand and arm cream, as it works to hydrate, nourish, and soothe the skin. 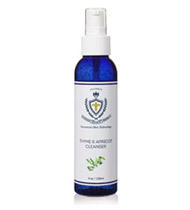 Apply generously to face, neck, and/or body to soothe and nourish the skin. Remove with warm, damp towel. Avoid the eye area. For external use only. 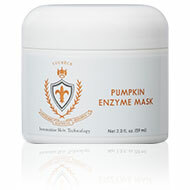 Ample pumpkin pulp enzyme combined with essential oils and natural extracts deep clean and decongest pores, leaving the skin healthy and vibrant. Suitable for virtually all skin types, including Sensitive, Combination, Oily, Normal/Dry, and Mature skin. Containing essential vitamins and minerals (Vitamin C, Copper, and Zinc), Pumpkin has many properties to help protect and nourish the skin, including evening skin tone and pigmentation with Copper, and fighting acne with Zinc. 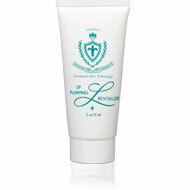 Apply evenly on clean, dry skin. Avoid the eye area. Leave on for 5 - 10 minutes, then remove with lukewarm water, and dry with soft towel. 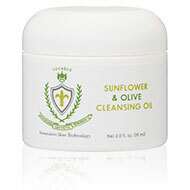 Our latest oil-rich cleansing oil created from sunflower, olive, argan, and grapeseed oils. Proven highly effective for dry, oily, and acne prone skin, oil-based cleansers are also excellent for makeup and sunscreen removal, making this oil a great way to start your evening regimen. The Sunflower & Olive Cleansing Oil works to dissolve excess oil from the skin, unclogging pores, while removing dirt and other impurities. Using dry hands, massage over dry skin until gel has melted (normally about 1 minute). Add water and rinse. Continue with an additional cleanser if desired. Use once or twice daily. For external use only.